I have the Noah cover from covercraft for 3 years now and it still looks great. I always clean my ride before using the cover to avoid unwanted scratches. I would also recommend Covercraft NOAH Car Cover. It has great feedback and provide maximum outdoor protection from acid rain, UV rays, snow, tree sap, bird droppings, dirt, and other airborne contaminants. that honestly is the best thing to do in my opinion...a car cover on a car that stays outside can actually damage the paint over time because wind will blow dust and dirt under the cover and the cover will rub that in to your paint. Dust covers for inside a garage are awesome, but covering a car outside definitely has its down sides. Good points. 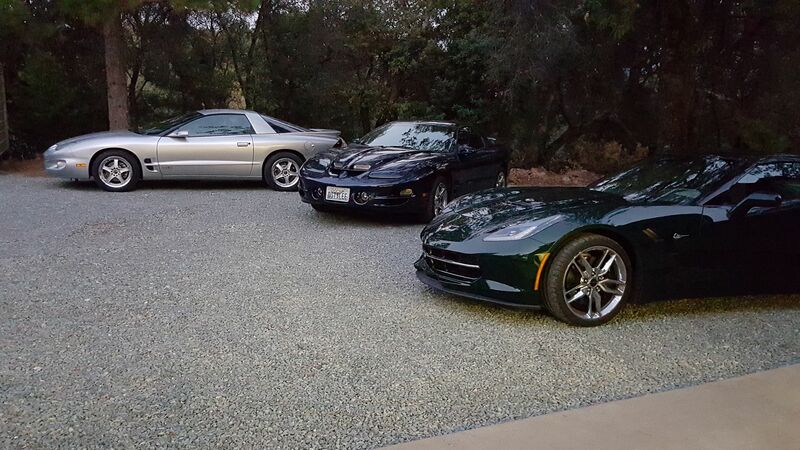 We have to keep couple cars outside - dark colors. First - it has to be a fitted, good quality layered cover, and two - (very important) is to take if off often (even if not driving car) to wash car and remove (without hitting ground) crap off inside of cover. Even with good covers - if you let it sit for weeks and weeks outside with even summer weather ... the dust and particle build up can eventually scratch the paint. I use car covers a lot. Inside / Outside. I just do not cover the car if it has a layer of dust on it. That means it is time to wash it imo. I like shiny things. 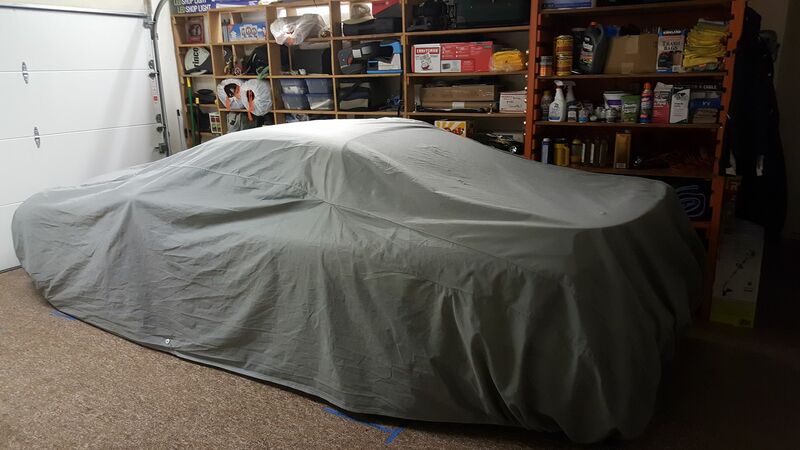 Car covers in the garage protect it from purses, bags and small object that fall off shelves etc.. I do not have any scratches because of the use of the car covers. Plus, outside it help minimize door dings and keep the interior nice and cool. You might find me napping at lunchtime with the windows down under the car cover. It is very nice and comfy. You can get a car cover that will last about two years off ebay for under $40. I replace them every couple of years. To keep the wind from blowing cover off use a soft rope through the grommets and under the car. If you have another car in your garage or suspect possible door contact from another vehicle you can place a towel or blanket around the mirror to protect the door some. Last edited by Mecinoid; 09-19-2016 at 05:30 AM. Once I bought a cheap universal car cover, and I used it only ionce. It was windy, and when I took the cover off, the polish was scratched! So instead of protecting the car, it scratched it badly. So after that I do not use any covers at all. I'm not 100% sure but I think mine is a California Car Cover. I've used it prob 15 years. car cover on at all times. Only time I see bleed through of outside elements is with pollen. That stuff gets into everything regardless how tight it is. I guess since the cover breathes it has to let pollen in. Cal brush works well if I take the TA out more that once every 6 months. 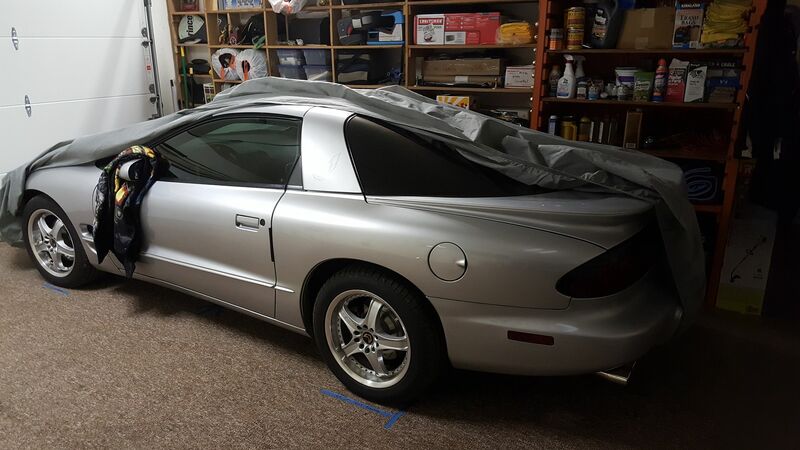 We took delivery from Pontiac dealer April 7th, 1998. ASC Factory letter provided from them. Send $19.95 for more information. I like the idea of placing the towel over the mirror under the cover. When I haul my motorcycle in the trailer I always place a wash mitt over each mirror. I'm sure everyone does or has at some point in life used the wash mitt with the soft material. Looks like sheep wool. I cut the wrist part off and turn it wrong side out to put the soft side over the mirror. It works great. How do I fit oil pan and covers?